Import records in your Recruit account from external sources, if you already have the data. 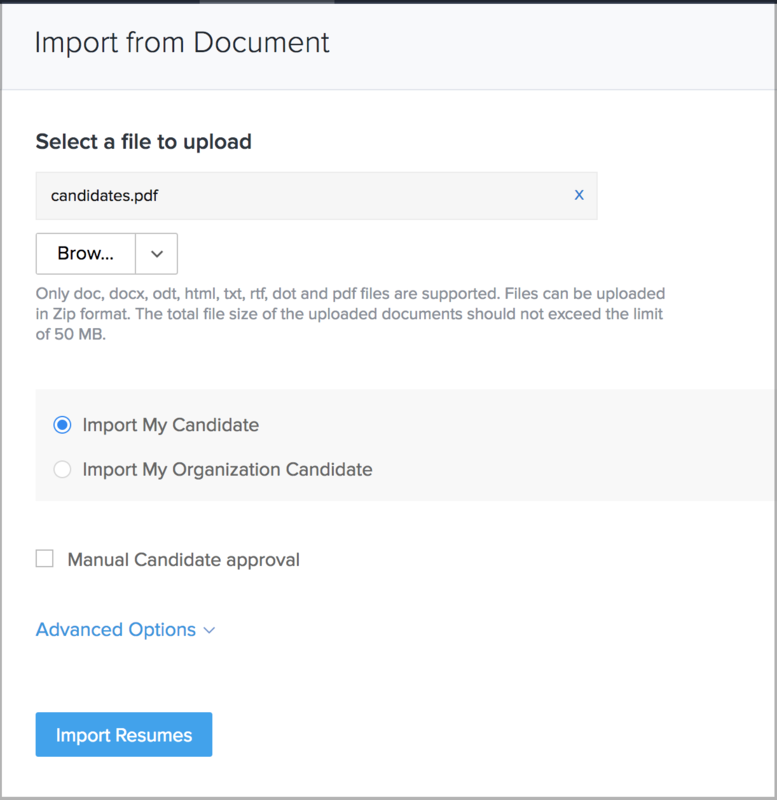 You can either import records assigned to you or import records that are assigned to other users by using the Import My Organization Records option. 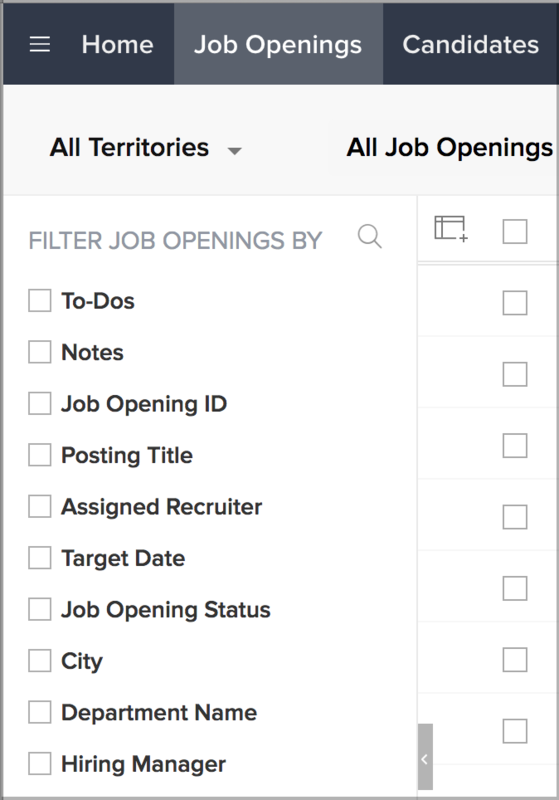 Export data in CSV format from individual Recruit modules in your Recruit account. You can either manually export the records or request a data backup. Make use of the page-level and the record-level navigation to easily move to the required record. Page-level navigation allows moving from a particular page to the previous or next consecutive page. Record-level navigation allows moving from one record to the previous or next consecutive record(s). Use the advanced filters to filter records based on sales criteira such as activities, email status, among a host of other parameters. Perform mass operations such as the mass update, mass transfer, mass delete, mass email etc. for easy and quick management of records. 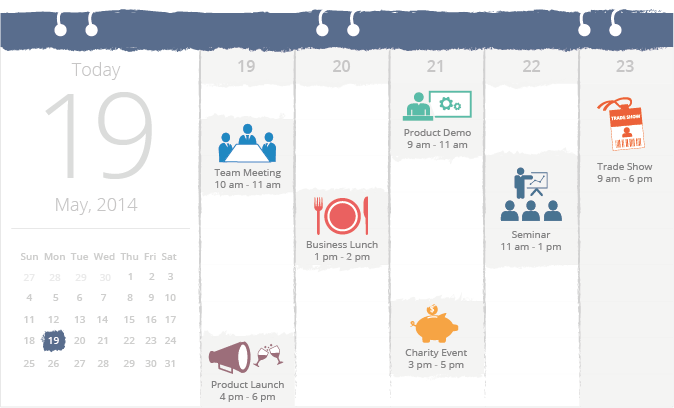 Use the Zoho Recruit calendar to schedule events and calls. Sync your events Google Calendar and Microsoft Outlook.